Inflatable Party Magic LLC Delivers Fun! 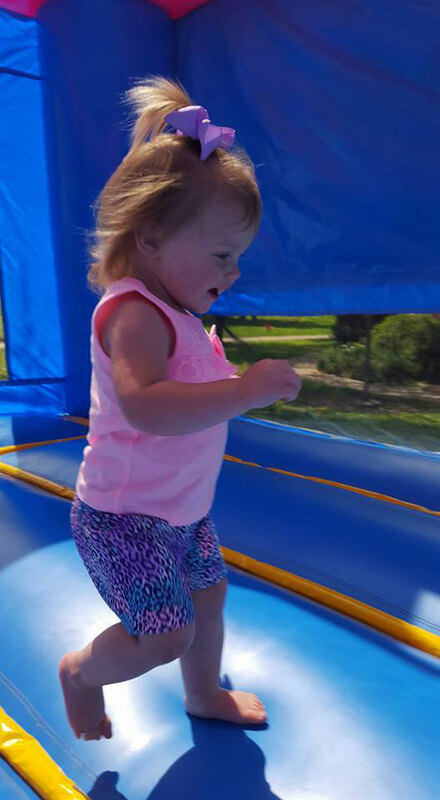 We are the #1 provider for Bounce House, Party and Event Rental needs offering a complete line of inflatables, tents, tables and chairs, backyard party games, Create a Bear, and Event and Party necessities. Through M&M Pony Express LLC, Pony rides are offered as well. Click here to view our full website. We are fully insured and state inspected as required by Texas State Law. All of our staff are background checked and fully trained in what they do. Our trained staff will help ensure that your party or event day is a Success. We do service a very large area in The DFW Texas area. Below is our specific delivery cities and map as well. If you are having an event in an area that is not listed, please give us a call at 817-800-8618. We do service some areas that are further away for bigger events. Customer Pickup Information is detailed further at the bottom of the page. You will find a map to our location as well. Customer pickups are only done between 8am and 9am on the day of the delivery. Customer return is the following morning between 8am and 9am. Customer pickup available on some units for a reduced rate. Units available for Customer Pickup will indicate that in the pricing area. All customer pickups are conducted out of our warehouse at 2852 W FM 4, Cleburne, Texas. If you do customer pickup, you must also return the items as well to this same location. Below you'll see a detailed map for driving instructions for customer Pick Up rentals.